Are you a Filipino in Korea and lost your passport or the validity is expired? Here are some frequency asked questions when applying for a new passport in the Philippine Embassy in Korea. 1. When will I receive my new passport? Your passport will be released 4 to 6 weeks after the date of your application. 2. When should I renew my passport? The immigration authorities of almost all countries require at least 6 months’ validity on a passport to be allowed entry into a country. To be perfectly safe, the Embassy recommends that you renew your passport one (1) year before its expiration date. 3. I need to travel soon and I cannot renew my passport. Can I request for an extension? The Embassy can process your application for passport extension if there is sufficient proof for the above circumstances. The proof may be in the form of a death certificate, medical certificate, and similar medical documents, subpoena or notice of hearing and the like. 4. Can I apply for a passport without personally appearing at the Embassy? Your personal appearance at the Embassy is required for your passport application. Your photograph, signature, and other biometric information need to be captured to process your application. 5. I am about to return to the Philippines for good and my passport is only valid for less than 6 months. Do I need to renew my passport to be able to travel to the Philippines? If you are travelling back to the Philippines for good and your passport is valid for less than 6 months, there is no need to apply for passport renewal at the Embassy. 6. I’m temporarily staying in Korea. 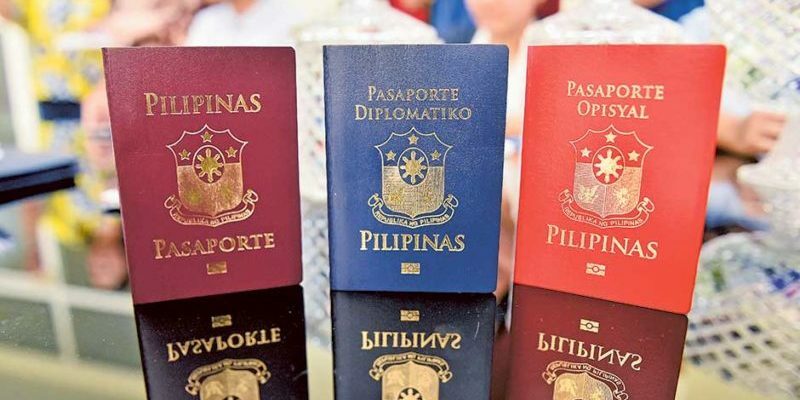 Can I apply for a passport in the Embassy and claim it in the Philippines? You may apply for a passport in the Embassy and execute an affidavit stating your request to be able to claim your passport in any DFA branch in the Philippines. 7. Do I need to set an appointment to renew my passport at the Embassy? You may visit the Embassy without an appointment during our business hours from Monday-Thursday, from 9 a.m. to 4 p.m. However, we recommend that you set an appointment through our website to avoid waiting or any unforeseen delays. Further, please note that passport applications every Sunday are strictly by appointment. Please visit this link to reserve an appointment (http://www.philembassy-seoul.com/guidelines.aspx).